An Award-winning author and journalist Julian Guthrie has just completed an amazing book that chronicles my life’s story and the decade-long $10M Ansari XPRIZE in which a group of amazing space entrepreneurs competing in the new race to space. Her last book on Larry Ellison and the America’s Cup was a best seller. Julian’s book tells a beautiful narrative story of my life, as well as the stories of Burt Rutan, Erik Lindbergh, Paul Allen, Richard Branson, and the many teams who competed in the singular quest to build and fly the world’s first private manned rocket into space. The author is looking for advice on the title and subtitle for the book. You can vote here on Survey Monkey. Got to keep the myth of the Ansari X-Prize alive or otherwise folks will realize is was a failure. Yes, the Emperor’s cloths look wonderful! This book is indeed a classic example of distracting folks from the reality that the winner of the X-Prize will likely not be the first to carry sub-orbital tourists, if it ever does so. If “Eyes on the Prize” gets the nod, Juan Williams is not going to be a happy camper. The argument is going to be that the prize begat other prizes and showed what the private sector could do in space and inspired a lot of people. From an inspirational standpoint, I think they have a point. More narrowly, the case breaks down because of the lack of other viable competitors and the shortcuts taken to win it burdened Scaled and Virgin with a propulsion system that took another decade to develop. The program also killed three people because nobody understood the propulsion system, and another one due to Scaled’s inexperience in spaceflight and the FAA’s safety oversight failures. The fact that Virgin was rushing through the end of the test program didn’t help any. As for the Ansari X Prize begetting other prizes, the legacy there is rather mixed. Some appeared to have contributed to improvements in various fields; others not so much. Because of the Ansari X-Prize, there are now 150 or so young engineers in Mojave alone who are working for private companies pursuing spaceflight. These people have long careers ahead of them that they’ll spend working on ways to turn mankind into a spacefaring civilization. A ten million dollar investment (of an insurance company’s money) was a small price to make that happen. The X-Prize attracted interest and money to getting the average Joe into space – All for the price of a single highway overpass. Seems worth it to me. And Sierra Nevada. You always forget about their role in this. You’re right. This was a bigger mess than I said. And I never forget their roles in this. Title: DIamonds In the Sky! This book tells a beautiful narrative story of my life, as well as the stories of Burt Rutan, Erik Lindbergh, Paul Allen, Richard Branson, and the many teams who competed in the singular quest to build and fly the world’s first private manned rocket into space. Are they really there because of the Ansari X-Prize? Don’t forget Paul Allen was already funding SpaceShipOne before there was a prize. It would have flown without it, probably sooner and more often as it would not have had a major last minute design change to meet the rules of the prize, one that pushed its hybrid engine to its limits. And then because it was both historic and dangerous to fly quickly retired to the Smithsonian. It also had zero impact on the space ventures of Robert Bigelow, Jeff Bezos, Elon Musk or Jeff Greason. While Richard Branson had reserved the name Virgin Galactic in the 1990’s before any prize was announced. No the Ansari X-Prize didn’t create space commerce at Mojave or else where as Peter Diamandis is taking credit for as the forces were already in motion. It was at best a noisy distraction that steered firms like VG and Scaled Composites in the wrong direction. You’re right in a way: SpaceShipTwo has provided a lot of jobs over a long period of time. Unfortunately, it hasn’t produced much in the way of spaceflight despite going on for nearly 12 years. Next Friday, the SpaceShipTwo program will have as much time as same lay between Kennedy’s speech to Congress proposing the Apollo program in 1961 and the splashdown of Apollo 17 in 1972. That’s starting from Branson’s announcement of Virgin Galactic in September 2004. Rutan thought he was better than NASA (Nay-say, he called it).. 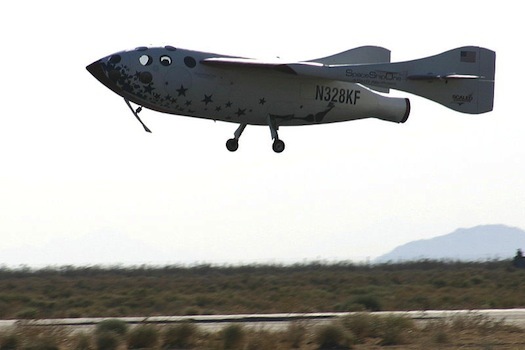 But SpaceShipTwo sadly turned into the type of troubled program that NASA gets criticized for: massively over budget, way behind schedule and technologically troubled. It’s been a good jobs program for Scaled, Virgin and SNC, though. Not that anybody else from Mojave has flown to space since then. But, they haven’t spent nearly as much trying. It’s also eaten up a fair amount of government funding along the way. Aabar Investments put in $390 million. Aabar a sovereign wealth fund owned by the Abu Dhabi government. The taxpayers of New Mexico chipped in nearly a quarter billion dollars for a custom built spaceport. If Diamandis is praising the book it isn’t telling the whole truth. >It also had zero impact on the space ventures of….. It sounds like my point didn’t quite come through to you. Because of the X-Prize, no less than 200 additional young engineers with relevant work experience are out there in the hiring pool. This is a great return on a ten million dollar (of an insurance company’s money) investment.